Koji Muto ’15, now a project development engineer at ExxonMobil, wanted to stay involved with the University after graduating. Both are doing so as members of the Hajim School Young Leadership Council (HYLC). 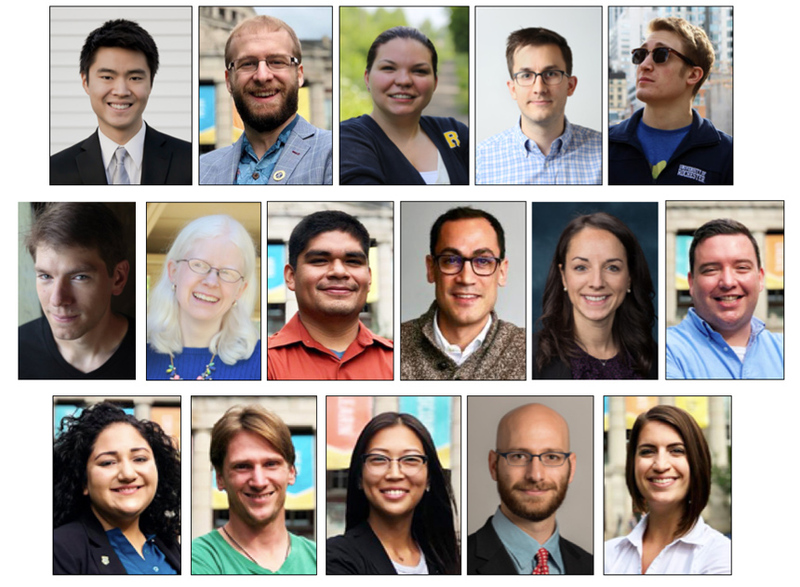 Now 24 members strong, the council was formed in 2015 to build positive relationships between recent alumni and the school’s current students and faculty. Council members are encouraged to share their experience, time, and resources to help strengthen the quality of education, to promote alumni engagement and professional development, and to increase philanthropy as a way to make the Hajim School ever better. It is an opportunity for young Hajim School alumni to find tangible ways to be involved and make a difference in the school. That was a strong motivation for both Muto and Kieft. The council officially gathers on campus during Meliora Weekend and also meets once a year via Skype. Other conference calls and independent communications take place between these scheduled get-togethers. There is a two-way flow of benefits. The input and support from recent alumni helps the school keep its educational programs relevant to the current workplace, connect with other recent graduates, and build mentoring and internship opportunities for current students. Members, in turn, are kept abreast of what’s happening at the school and enjoy networking opportunities that can be useful for their own professional development. “The biggest personal benefit so far has been to reconnect with classmates whom I lost track of,” says Kieft. “It’s interesting to meet with other young alumni who all graduated from the same engineering school and hear about the different paths they took,” adds Muto. To learn more about the council, contact Derek Swanson at derek.swanson@rochester.edu or via phone: o: (585) 273-1341 / m: (315) 271-9732.